New student? Click here to complete the new student registration form. I authorize any adult acting on behalf of the The Bear Family Las Olas Chabad Hebrew School to hospitalize or secure treatment for my child/children. I further agree to pay for all charges for that care and/or treatment. 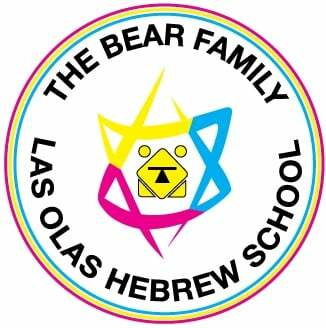 It is understood that, if time and circumstances reasonably permit, The Bear Family Las Olas Chabad Hebrew School will try to communicate with me prior to such treatment. I hereby give permission for my child/children to participate in all school activities, join in class and school trips and beyond school properties. I permit my child(ren)'s photos to be used by The Bear Family Las Olas Chabad Hebrew School for publicity purposes. No child will be turned away due to lack of funds. One time payment Monthly payments (9 monthly payments of $100 beginning Aug 1) No child will be turned away due to lack of funds. I would like to request financial aid/scholarship. Please follow the link upon submission to complete the scholarship application.